U For Change | The Broke Gallery Opening Night! The Broke Gallery Opening Night! 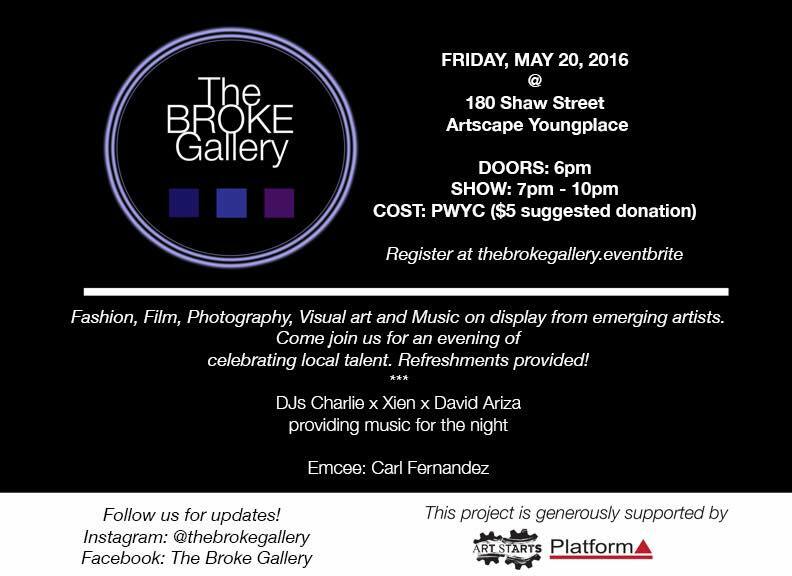 19 May The Broke Gallery Opening Night! 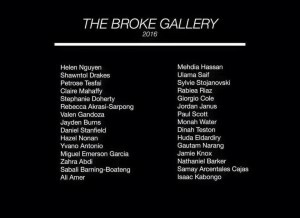 The Broke Gallery is a community based gallery for emerging Toronto artists 16-35 to showcase their work. We are BROKE but not BROKEN! Funded by Art Starts through Platform A. Come out and support emerging artists! Many of UforChange’s alumni showcasing their work! Location: Artscape Youngplace – 180 Shaw St. 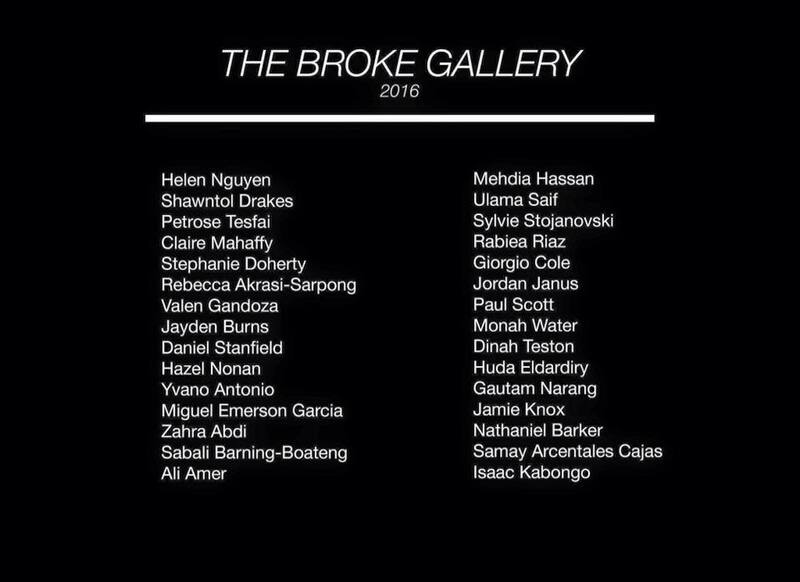 The Broke Gallery was initiated by UforChange alumnus Keisha James and funded by Art Starts. For volunteer opportunities, click here! Check out their Facebook and Instagram below for more details!